I don’t think anyone really knows when humans began keeping reptiles as pets. Sources say snakes were kept in ancient Greece in temples associated with Asclepius the god of medicine. It is said Asclepius’ temples were filled with snakes. Today humans keep all sorts of reptiles as pets. The greater portion of society fears or dislikes reptiles of any kind. Whether this is due to beliefs held from biblical implications or just a general fear held over from our ancestors is up to sociologists and others to define. Some cultures and religions revere snakes. 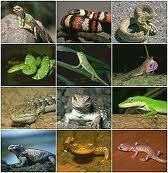 For those interested in reptile keeping; commonly known as herpetoculture they don’t have to travel far. The local pet store will most likely carry a variety of reptiles to choose from and if not the pet superstores will most definitely have some type of reptile selection to choose from. Herpetoculture is a very broad term which includes not only reptiles, but amphibians and insects that are kept as pets as well. The question now is what pet do you choose? Personal preference aside, there are things to consider when choosing any new pet. The first thing you should consider is the space requirements of the reptile when it becomes an adult. That foot long Green Iguana Iguana iguana looks cute as it scuttles about its enclosure. However, that same Green Iguana I. iguana could reach a total length of 5 ½ to 6’ as an adult! After considering space requirements of the reptile you may want to keep, you must think of their care requirements. You don’t want to keep them alive; you want them to thrive in the captive environment you have created. Most reptiles offered for sale are not going to be native to where you live. They will have specific dietary and environmental needs that must be met. For example if you live in a dry area it would be a poor choice to obtain a tropical animal with high humidity requirements such as a Chameleon which is native to tropical forests. Instead look for a pet that has similar requirements to where you live. This way you won’t spend a lot of money setting up their environment. Nutrition is another aspect of captive reptile care that is often overlooked by new keepers and is all too often not covered by the stores employees. Reptiles do not share our ability to digest almost anything we eat. Nor do they exhibit our mammals’ capability to vocalize when they are in pain. They have very specific dietary requirements which if not properly met will cause many issues and eventually cause a sometimes very painful existence leading to death. Learning what the reptile eats is not enough, some reptiles especially lizards require a vitamin and mineral supplementation to meet their dietary needs. Normally, they’d fulfill these dietary needs on their own in the wild. So how do we identify the proper information? The best advice I could ever give to a potential herpetoculturist is, ‘Do your research.’ Research your new reptile, amphibian, or insect pet until you know that animal’s way of life in their native habitat and their way of being kept in captivity. Now this doesn’t mean you can read a few care sheets and go about buying your new pet. Really dig in and buy a couple of books and talk to breeders and people in the online forums. After you have gathered numerous sources of information I would sit down with everything and begin comparing them and taking notes on what they all agree upon. These notes are what you’re going to refer to when setting-up your new pets’ enclosure as well as what you’ll refer when maintaining your pet. Researching the reptile before you purchase it will save you money later. This happens because you now know what the requirements are for caring for the new reptile as well as all of its nutritional and environmental needs. Now that being said there are a lot of places to get information and the most popular one these days is the internet. But we must be very careful when doing research as there are unfortunately a lot of unsavory individuals out there who say Books and magazines are my personal favorites to gather information I would also research the authors that I read to see what else they have published. If they have a track record of publishing in magazines and books it’s a pretty good bet that their information is going to be accurate.